The report into flaring at Fife Ethylene Plant is due out in April, the Mossmorran working group has learned. The flaring could be seen from as far away as the Angus coast at its height. The best available technology report was commissioned by the Health and Safety Executive and the Scottish Environment Protection Agency. HSE head of operations David Green said: “We’ve carried out a number of inspections investigating the root cause that led to flaring. Three particular factors were identified – a pressure spike and interconnectivity between pipes, the relationship between pipes and flaring mechanisms and third party verification of work on site. Mr Green stressed HSE’s priority was to protect health and safety at the plant and flaring was an essential safety mechanism. Jacob McAllister, who recently replaced Sonia Bingham as plant manager of Exxon Mobil, pledged the company had “no bigger priority” than the protection of staff, communities and the environment and its ultimate goal was to “eliminate flaring”. “It’s better for business, it’s better for the environment and its better for communities. “We don’t want it to happen,” he said. He did acknowledge Exxon Mobil had “to do a better job of keeping the community informed” and had hired a new community liaison manager as a commitment to that pledge. The meeting also learned SEPA, in conjunction with the National Physical Laboratory, began an air quality monitoring exercise in January. 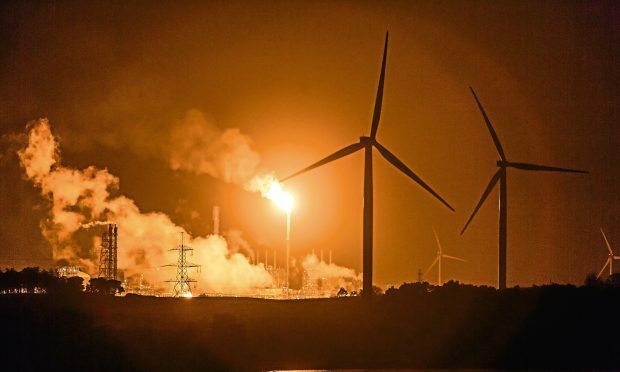 The exercise, expected to run until April, was described by Professor Wilson Sibbet, chairman of the Mossmorran and Braefoot Bay independent air quality review group, as a “substantial piece of work”. The results are expected to be published later this year. It was agreed Mossmorran and Braefoot Bay community and safety committee group needed to be more transparent and include wider community membership. Labour MP Lesley Laird said: “It was pleasing that so many of the attendees acknowledged and recognised that progress had been made. “I am particularly delighted that there is genuine and open dialogue now happening with the community and that this provides the foundation for constructive working relationships going forward. The working group is expected to meet again in June.